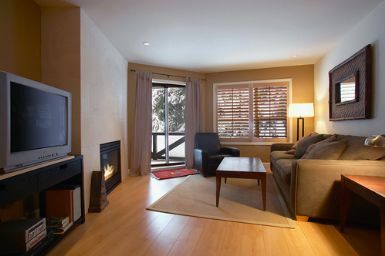 Enjoy a true ski in, ski out location & very comfortable accommodation at the Aspen’s on Blackcomb …. Enjoy the convenience of stepping out you door-step to slopes but also being just minutes from the Upper Village where you can find unique shopping and dining experiences. The Aspen’s is the ultimate in ski-in/ski-out convenience ! * DVD/CD/VCR/Stereo/New LCD TV in living area.
.*25% Deposit, balance due 45 days prior to arrival. *QUESTIONS? email us and we will get back to you shortly……. What our clients say: Peter, Thank you. We truly enjoyed our stay and will be return customers for sure. Yours is the third property we have rented at Whistler this year and was hands down the best. We really like the quality finish you put into the unit as well as the ski in/out flexibility. Client Testamonial #2 Peter , Your apartment was absolutely fabulous, great location,beautiful decor. Should I come to Whistler in near future I would definitely book again your place,anyway I will certainly recommend it to my friends.Staying in your apartment gave me few ideas about decorating my house on seaside in Montenegro.Once again I would like to take this opportunity to thankyou for making our holiday wonderful experience. You will hear from us in the future.